The U.S. Olympic Committee has chosen Boston, Mass., as America’s proposed site to host the 2024 Summer Olympics. The city on the Charles beat out San Francisco, Washington, D.C. and Los Angeles. I don’t want to get into a debate about the relative merits of each city (for the record, I dislike Boston intensely and rather like the other three). However, an appraisal of Boston as a potential host on its merits suggests that America would have been better off not bothering if this is the best we could offer. There are a few things that you need to have or to build to pull off the kind of Olympic success we saw in Beijing and London recently. Hotels, sports facilities, reliable transportation and popular support all spring to mind. Boston, sad to say, is sorely lacking in all of these areas. Starting with the hotels, it was painfully apparent that the city didn’t have the space to accommodate the Democratic convention in 2004 — delegates and other attendees wound up sharing rooms or staying with friends. The city has 51,000 rooms, which would have to accommodate family and friends of the athletes, the press, possible security personnel and plain old spectators — clearly not enough. Backers say that the dormitories of the 70-odd colleges and universities in the city could be put to good use this way. Unfortunately, they are in use year-round, and almost as one, the educational institutions have said their dorms are off-limits to the Olympic games (put this down under lack of popular support). Perhaps the weather will be nice and everyone can camp on Boston Common. Moving on to the facilities, there is no Olympic Stadium in Boston, so one will have to be built. Gillette Stadium where the New England Patriots play football doesn’t actually meet Olympic standards. Building one is unlikely. Neither the Pats nor the Boston Red Sox baseball team have had any luck in getting a stadium built, and these are Boston institutions. The “solution” as proposed by the backers of the bid is to construct a 60,000-seat facility that will be taken down right after the games. Only in Boston would this be considered a good use of scarce resources, building a stadium and then spending more to take it down. But let’s just suppose for the sake of argument that the city can get it all built in time and that there are enough places for people to stay. They aren’t staying at the venues, so we have to find a way to move them. Let’s forget about driving. Nate Scott wrote in USA Today, “Driving in Boston is a harrowing experience. The roads, which are more or less the old cow paths in the city that they just paved over however many hundreds of years ago, make no sense. Streets are one way for a little while and then go one way the other direction. I know it doesn’t seem possible, but it’s a real thing in Boston. This happens frequently.” The emphasis is his, and he leaves out the fact that Boston is home to some of the very-worst drivers in the world. So, public transportation is the answer, and Boston, unlike most American cities, has something approximating it. The “T” actually goes places cheaply and promptly, and seems to be at least as good as Chicago’s El or D.C.’s Metro. However, a state commission wrote a report recently that admitted transportation would be the Achilles’ heel of the bid. The system would have to be expanded, “requiring additional and significant investments in our infrastructure to handle the capacity that an Olympics would bring to Boston.” And these were people who favored the bid. Well, what about building everything close enough so that people could walk? There’s not enough land in downtown Boston for that, and you’d have to go at least to Rhode Island to get enough space. This is not an option. That isn’t to say that these hurdles can’t be overcome. Beijing’s games proved that mountains can be moved if there is enough support (by bayonet point or not). But there is already a well-organized group, No Boston Olympics, working to stop the games. Boston could still lose out to past Olympic hosts Rome, Berlin or Melbourne, Australia — places that can do the job. 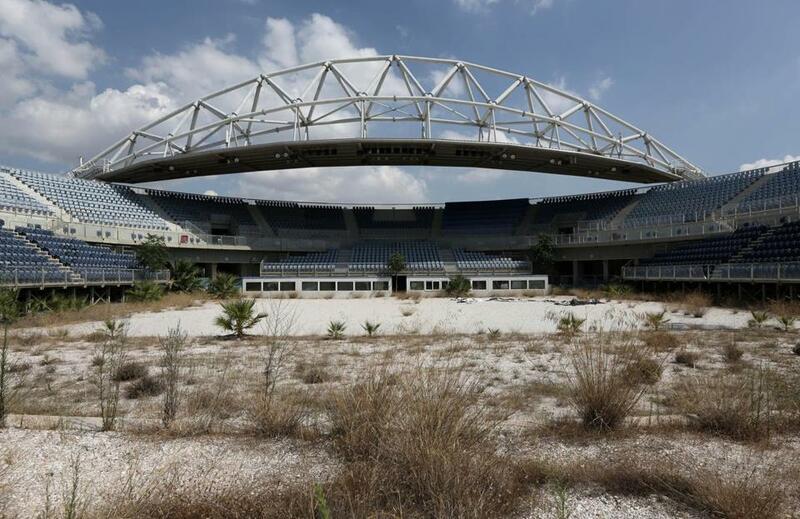 Or the games could still go to: Johannesburg; Durban, South Africa; St. Petersburg, Russia; Doha, Qatar; Budapest, Hungary; Istanbul, or Hamburg, Germany. Let’s keep our fingers crossed in hopes that Boston won’t have to do what Denver did in 1976. After being awarded the 1976 Winter Games, voters in the Mile High City told the International Olympic Committee thanks but no thanks. It was kind of embarrassing, mostly for the IOC.